South Korean small businesses on Wednesday proposed operating an inter-Korean technology training center and inviting global companies to a joint industrial complex with North Korea to expedite cross-border economic cooperation. The Korea Federation of SMEs recommended nine South-North businesses, explained in detail in its report to the government in April, which emphasizes technological education as the first priority in pursuing cooperation with the North. While North Korean workers have advantages of low cost and a common language, they need to be trained to adapt better and faster to advancing equipment in order to improve productivity, the federation said. The education center already in place at the Kaesong Industrial Complex will be used for the purpose, while new centers will be built at Korea's demilitarized zone and the North's northwestern border city of Sinuiju, the federation said. South Korea's business community is hoping for renewed opportunities with North Korea from the warming geopolitical conditions around the Korean Peninsula. The resumed inter-Korean summits and high-level dialogue were given a big push by the first-ever North Korea-US summit earlier this month, raising chances of unprecedented rapprochement. The opportunities would include reopening the Kaesong Industrial Complex, located in the North's border city of the same name, that was opened in 2004 but shuttered in February 2016 as relations with the North froze from its nuclear tests and rocket launches. More than 120 South Korean companies had run factories staffed by North Korean workers at the complex. 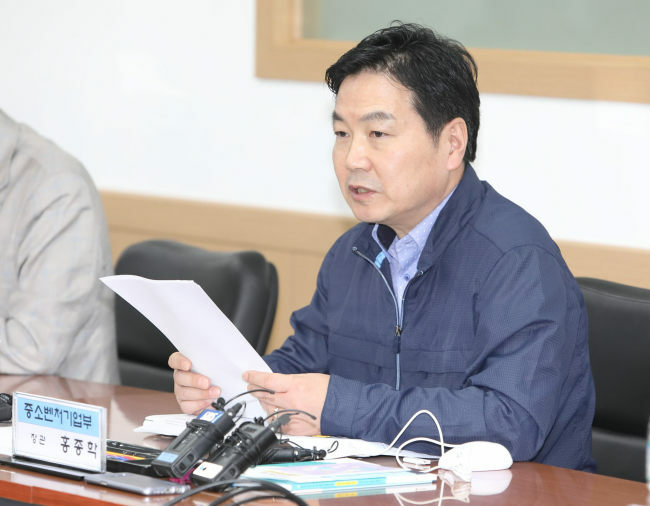 The SMEs association said workers who complete training at the centers will be given priority for hiring at inter-Korean industrial parks. Proposals also included opening another complex like the one in Kaesong and inviting global companies. "The Kaesong complex is still only 50 percent developed and it needs to be activated through creation of more demand," an official with the federation said. "In order for companies to be able to do business without having to worry about suspension of the complex, we need to have global companies come in, and we will be pursuing related procedures."